Hall simulates the sound of large enclosed spaces. 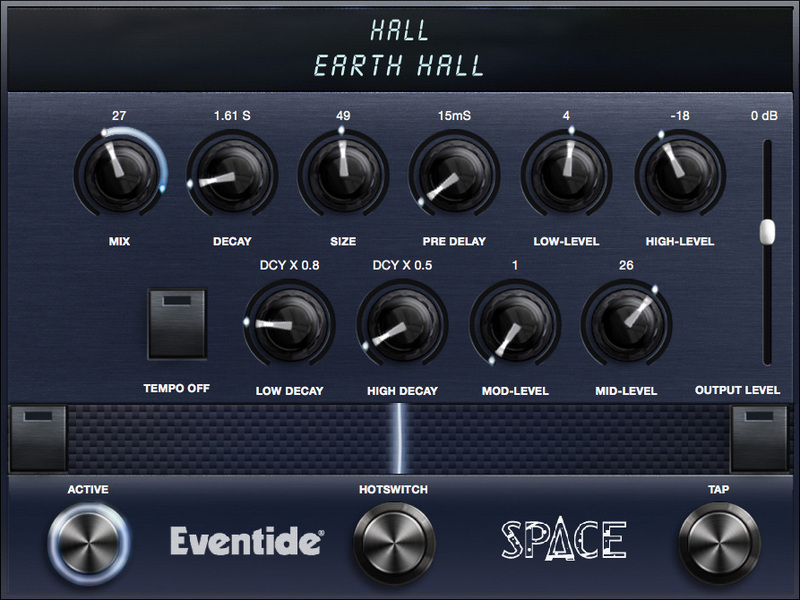 Hall offers flexible control of a 3-band crossover reverb network. There are independent decay controls for the low and high band, as well as independent level controls for low, mid, and high band. This is the go-to algorithm for beautiful realistic spaces or for reverb sounds just beyond the boundary of realism.